Sure, melted cheese is the ooey, gooey star of these quesadillas. But we've added onions, and green and red peppers for extra colour and flavour. Spoon 1/4 of the chicken mixture onto half of each tortilla. Top with cheese; fold in half. Cook, in batches, in skillet 2 min. 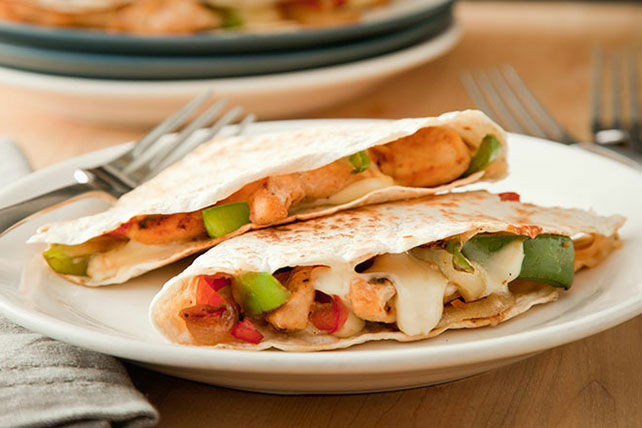 on each side or until quesadillas are evenly browned on both sides and cheese is melted.